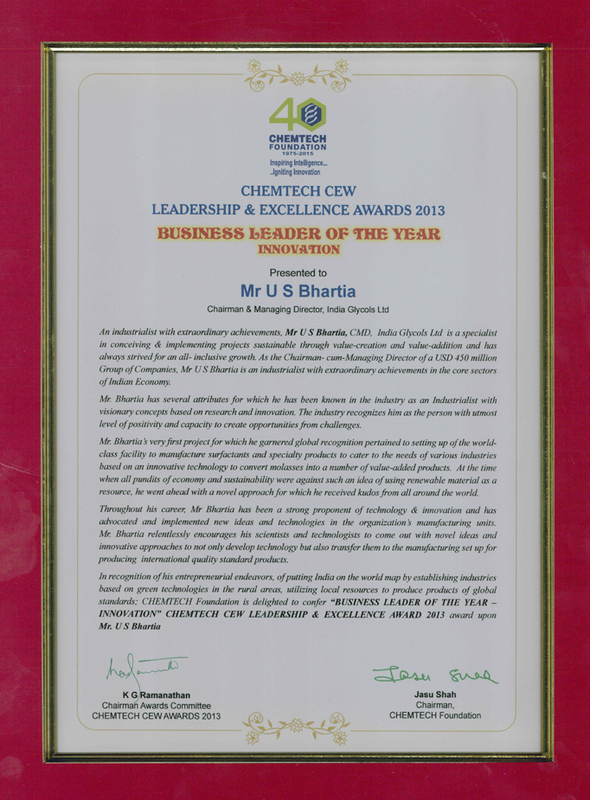 With great pride we wish to inform that our CMD has been conferred the "Business Leader of the year – Innovation" for year 2013 by Chemtech CEW Leadership & Excellence Awards, for IGL's initiatives towards Green Technologies. 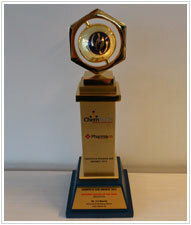 The award event was held at The Lalit, Mumbai on January 15'2013. Chemtech-CEW Awards have been instituted for honoring excellence in the process industry in recognition of pioneering work in industrial, economic and business activity. 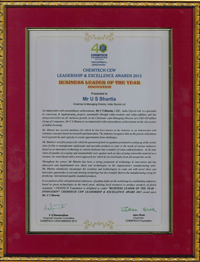 This prized award for CMD is a reflection of the collective efforts of the entire team, partners, stakeholders of India Glycols & allied companies which he leads. Chemtech Foundation, for the 26th time, brought together the pioneers of India's Chemical and Process Industry including other notable Manufacturers, Suppliers, Sellers across Chemicals, Pharmaceuticals, Fertilizers and other Process Industries for this event. Speakers on the event included : Mr. Suresh Prabhu, CHEMTECH Global Brand Ambassador and Ex Union Minister of Power, Chemicals & Fertilizers, Environment and Forests; Mr. K. V. Venkataramanan Director, L & T; Mr. Jasu Shah, Founder & Chairman, CHEMTECH Foundation; Chief Guest: H'ble Shri L K Advani , Chairman, BJP Parliamentary Party.